Balsam Hill, Birch Lane, Pavilion Gift, Rug Studio, Natural Area Rugs, MuralsWallpaper, Saphyr Pure Linen, and Comfort Works. Feel free to click on any of the above links to see more of each collaboration. 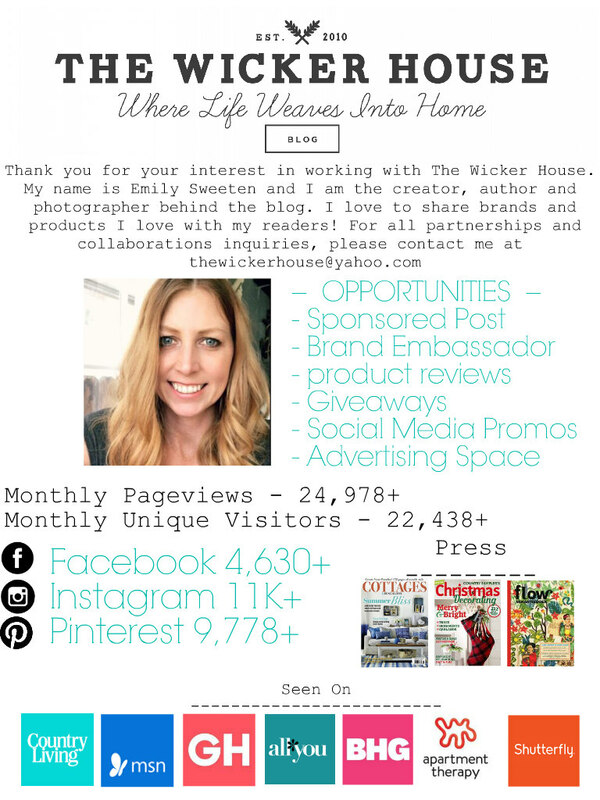 If you feel that The Wicker House would be of a service for your brand and you are interested in collaborating with The Wicker House, Please send an email to thewickerhouse@yahoo.com.